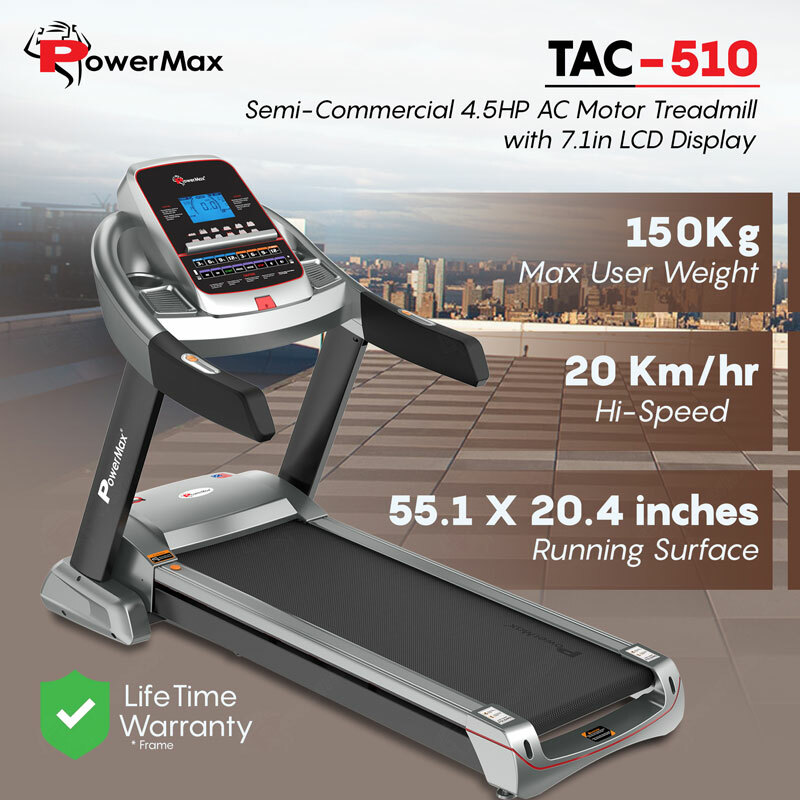 The PowerMax Fitness TAC-510 Semi-Commercial AC Motorized Treadmill with 7.1 inch LCD Display an impressive quantity of features is crammed into the frame. 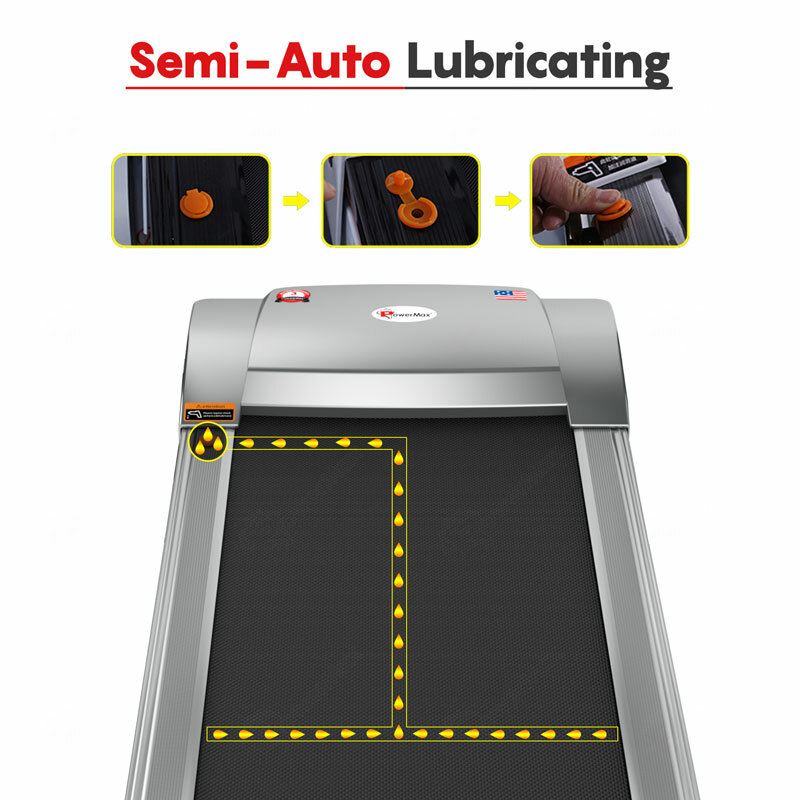 Perhaps the best feature is a maximum incline of 15 per cent. 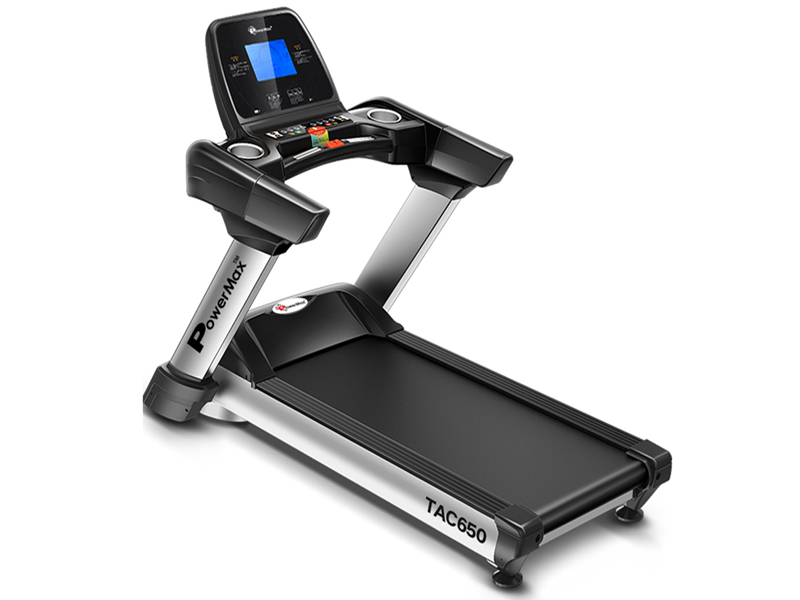 That's great for training for fell runs and general cardio conditioning. 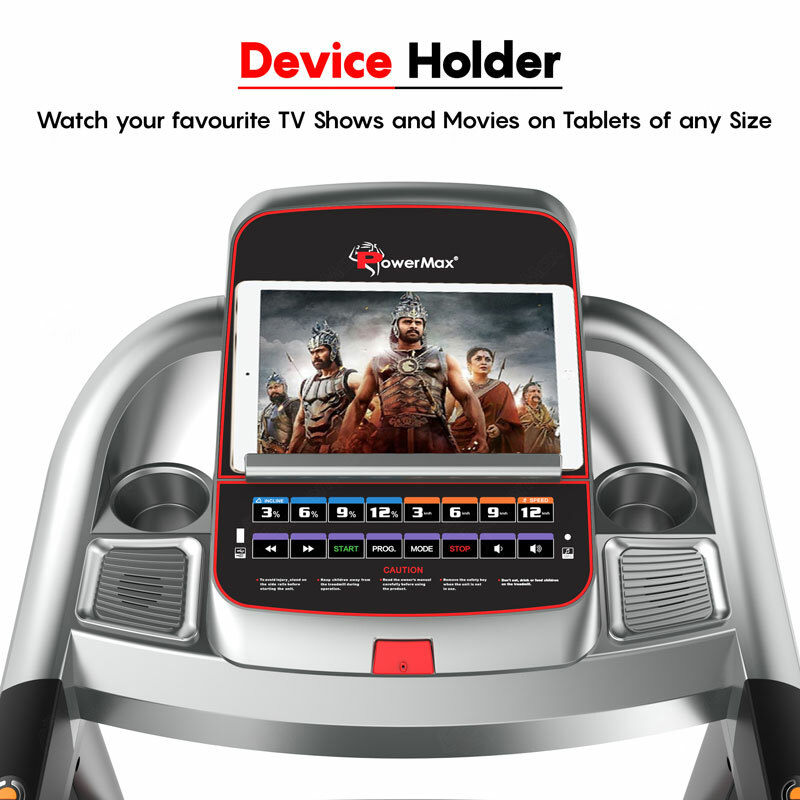 The built-in 7.1’’ Blue LCD screen gives basic run information such as Pulse, Incline, Time, Speed, Distance, Calories and BMI to calculate whether your body has fat or it is healthy. 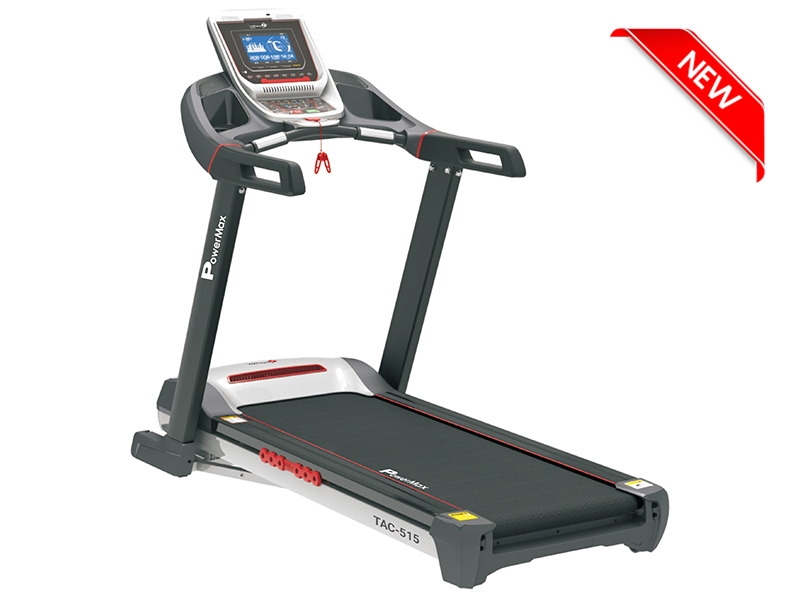 The treadmills help you to lose weight faster and effectively that running outdoor. 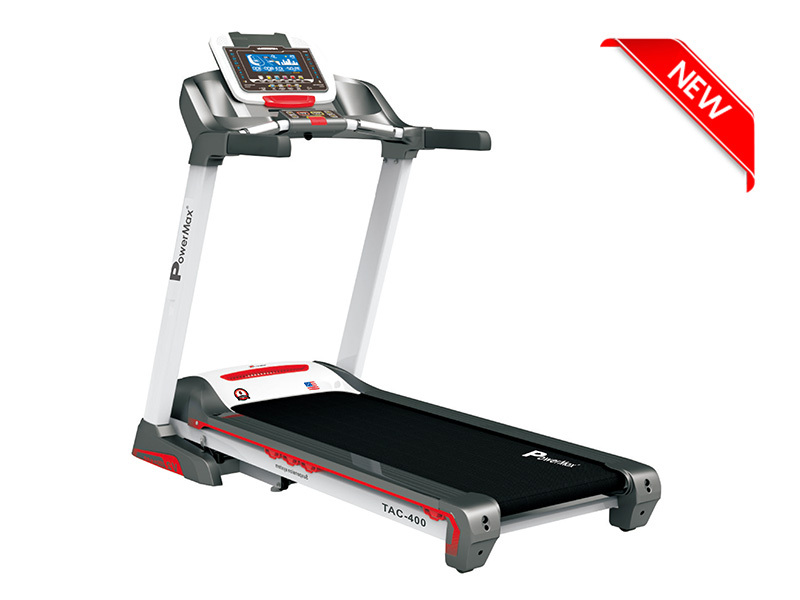 The PowerMax Fitness TAC-510 Semi-Commercial AC Motorized Treadmill with 7.1 inch LCD Display an impressive quantity of features is crammed into the frame. 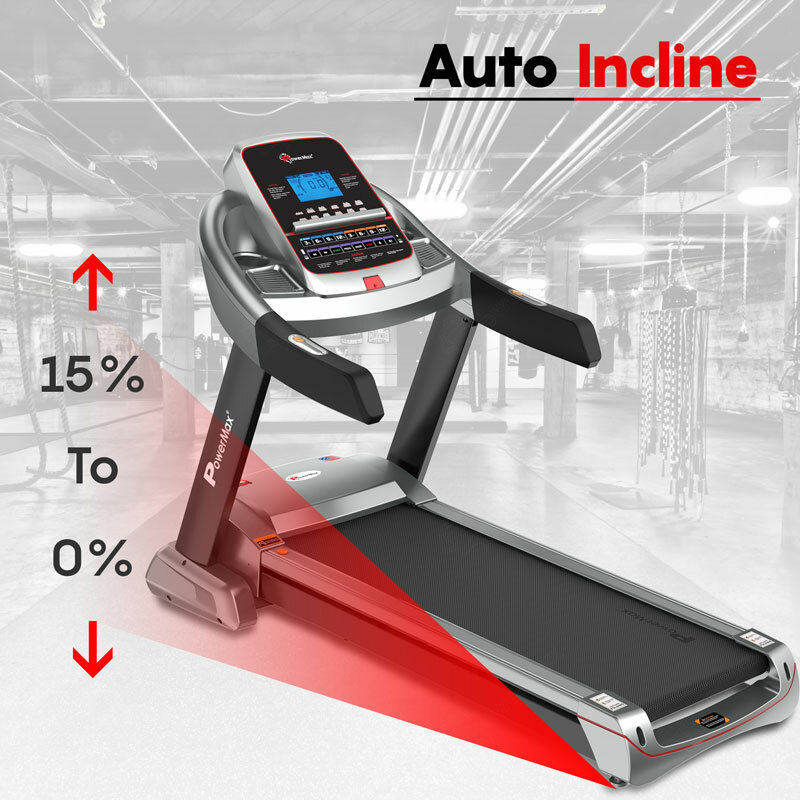 Perhaps the best feature is a maximum incline of 15 per cent. That's great for training for fell runs and general cardio conditioning. 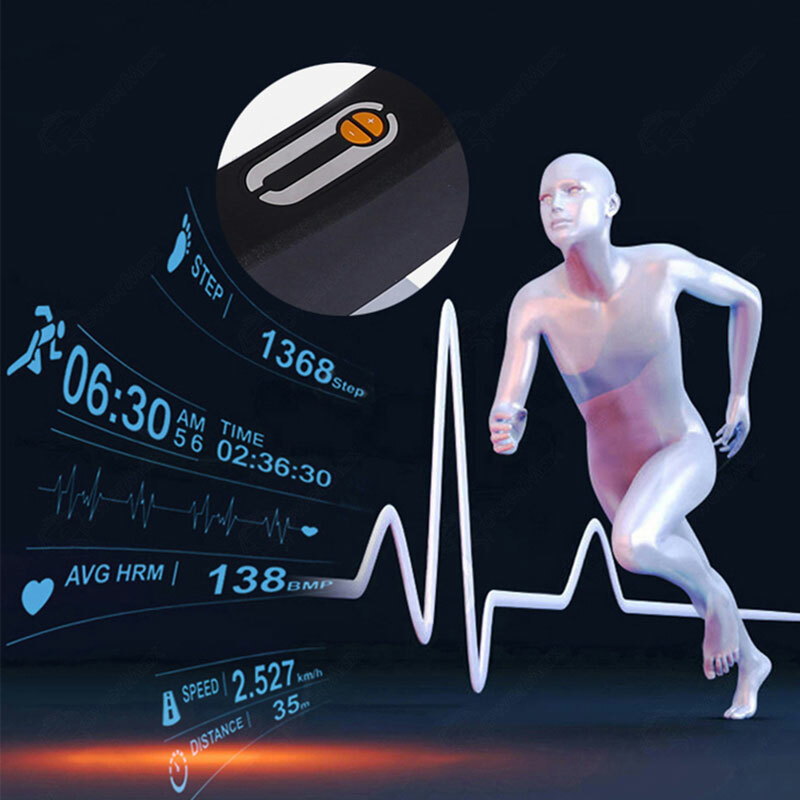 The built-in 7.1’’ Blue LCD screen gives basic run information such as Pulse, Incline, Time, Speed, Distance, Calories and BMI to calculate whether your body has fat or it is healthy. 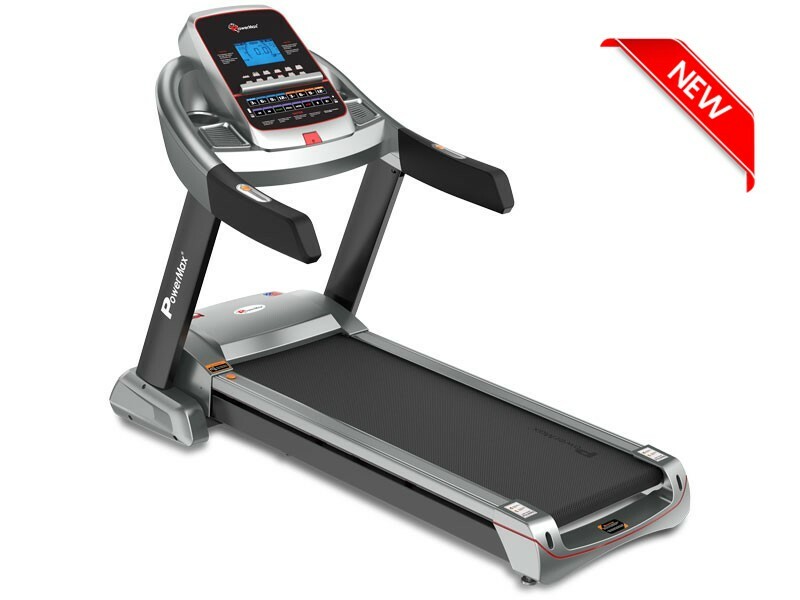 The treadmills help you to lose weight faster and effectively that running outdoor. 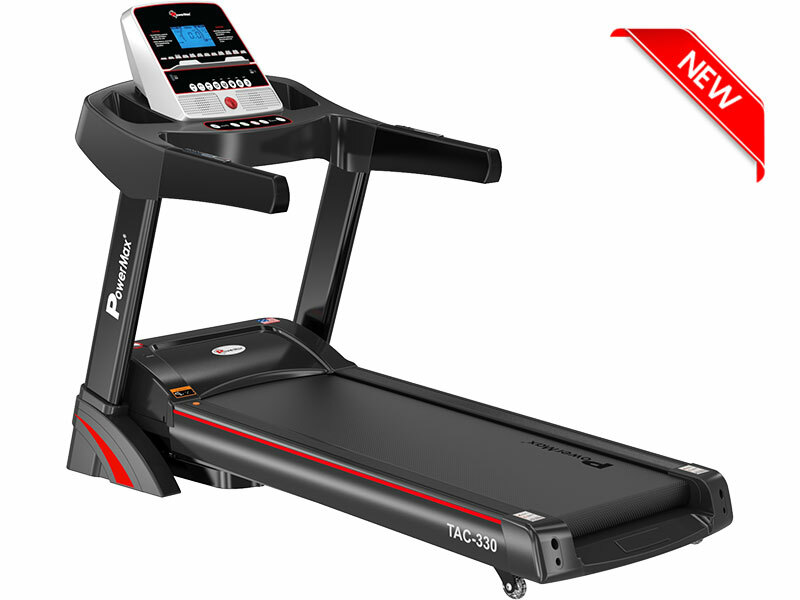 The 3.2mm diamond strip anti-static is the best running belt feature in this treadmill. One can run on Treadmill whenever they want they do not need to check what the weather is outside. 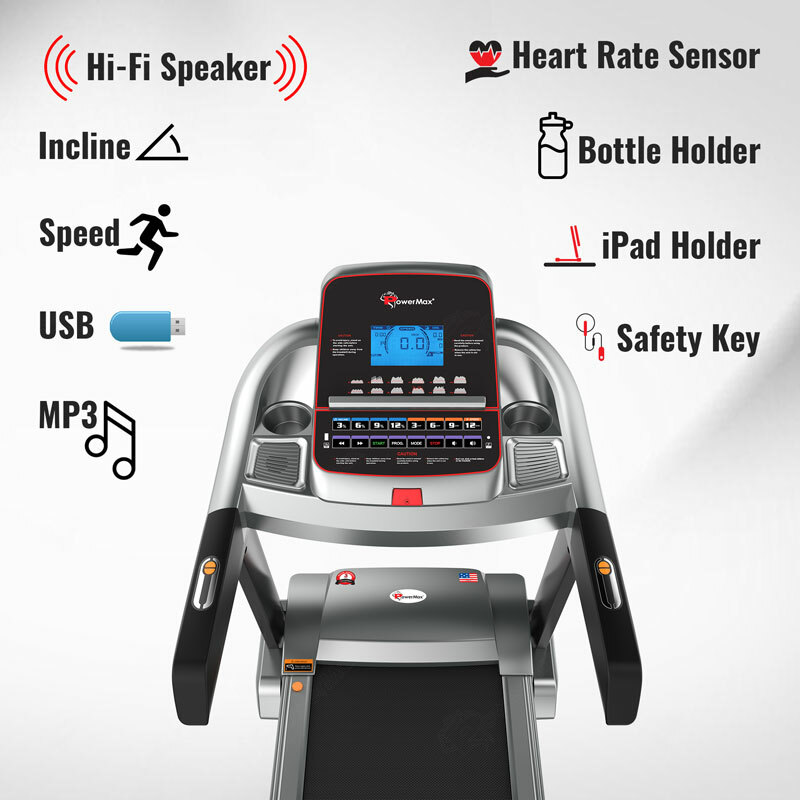 The treadmill offers various features such as Wheels for easy and safe transportation, easy to install Bluetooth app for android and iOS , Mp3 and USB input cooling fan, ipad holder, Hydraulic soft drop system. 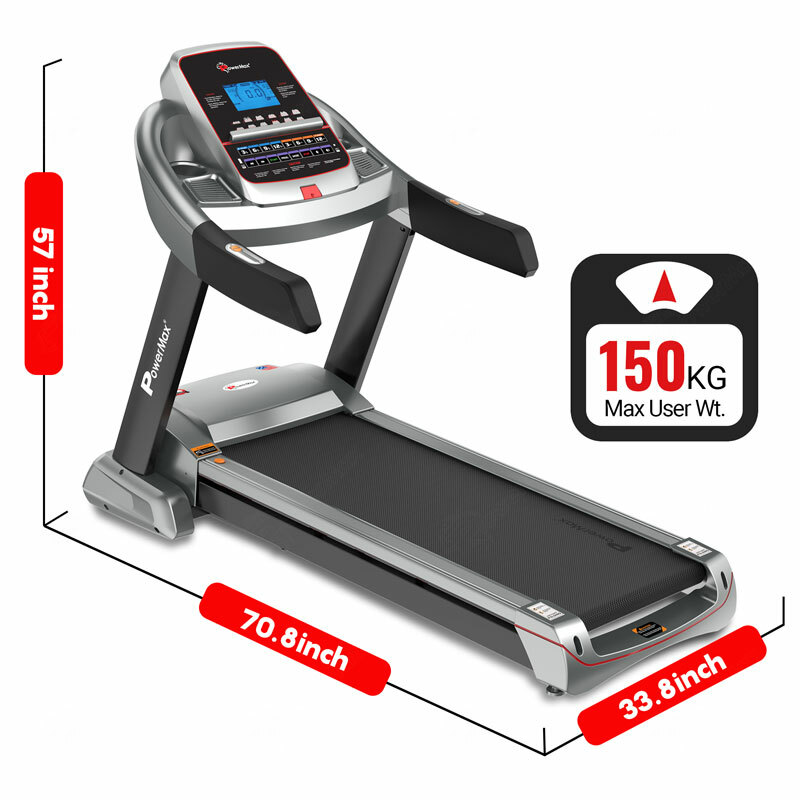 The speed of treadmill is about 20km per hour and it is auto-incline up to 15%. 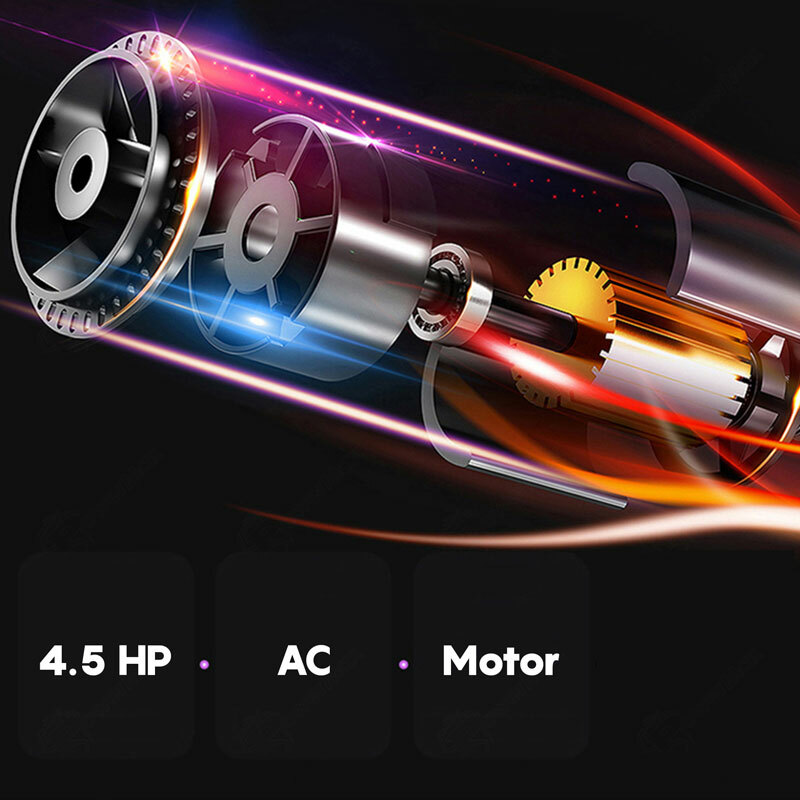 TAC-510 has 3 modes and 12 pre-set programs. 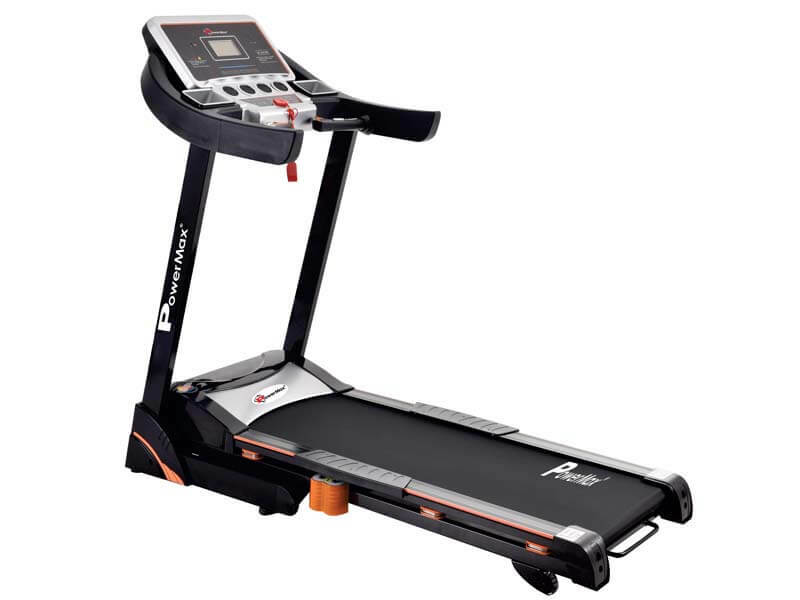 The treadmill has 3 years of the part warranty, 3 years of the motor replacement warranty and the lifetime frame warranty. Running Deck 15 mm High Density, low maintenance, pre-waxed, phenolic coated on both sides running board.